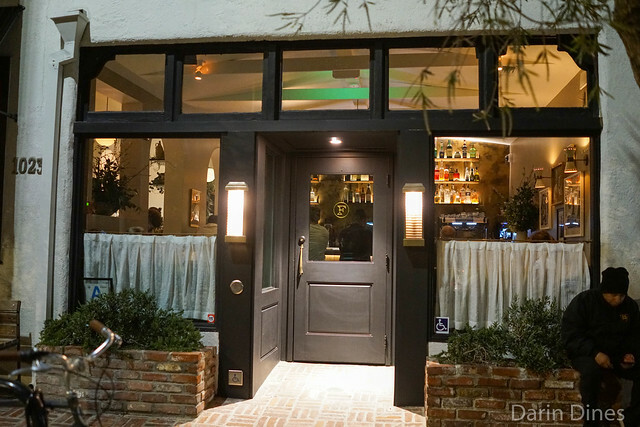 Felix has been one of the most popular restaurants in the city since opening almost a year ago. 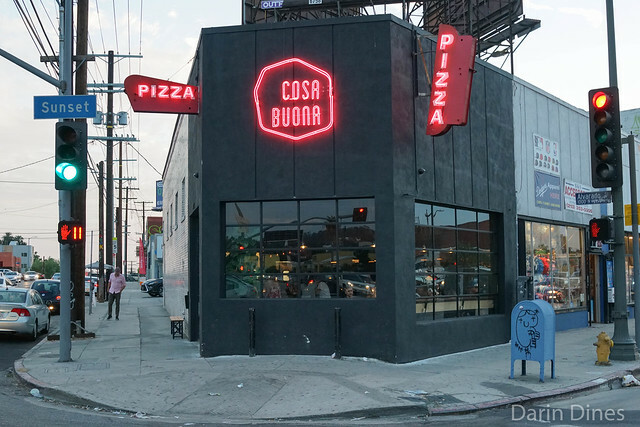 Here, Evan Funke (Rustic Canyon, Bucato) is getting a lot of attention for his pasta program which is regarded as one of the best in the city. 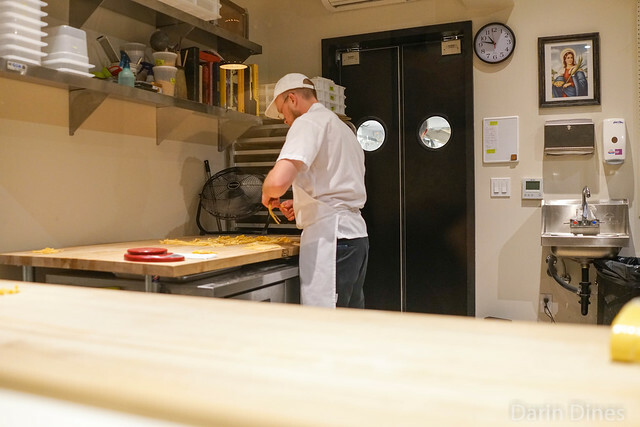 The pasta making room is showcased with a direct view from the dining room, where diners can see the exacting precision and attention to detail that goes into each and every bite. Between two of us, we shared one appetizer and each ordered a pasta and main course. 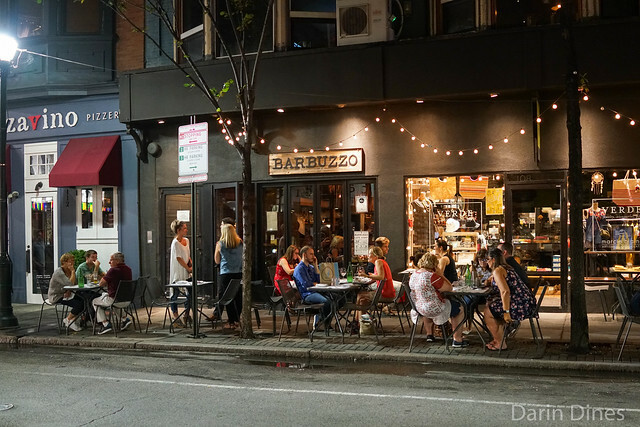 Barbuzzo is one of the more popular restaurants in Philadelphia. 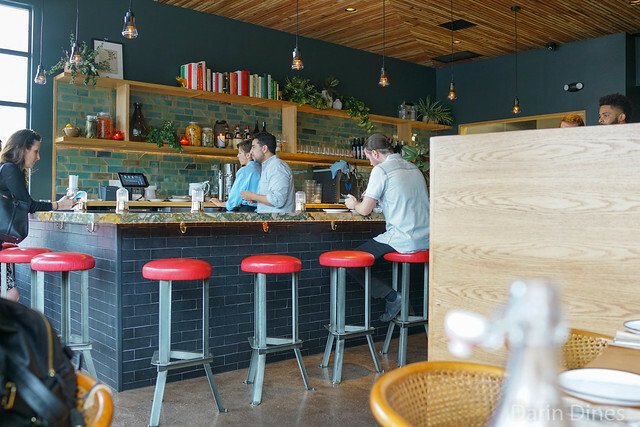 It’s part of a restaurant group that operates a number of other restaurants in the neighborhood, even a chocolate shop and jewelry store. 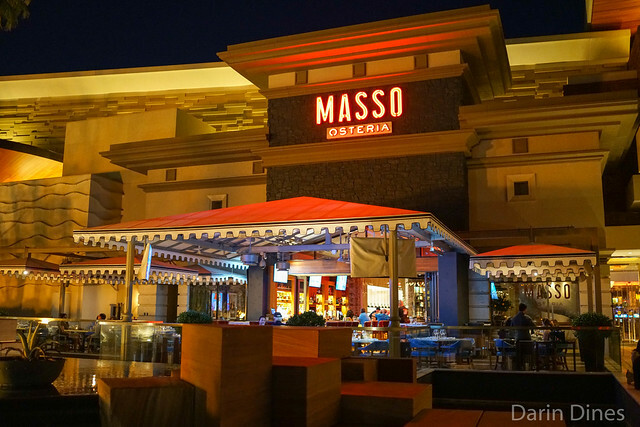 Barbuzzo serves Mediterranean cuisine with a concentration towards Italian, including pastas, pizzas, housemade charcuterie and a variety of both small and large plates. We stopped in for dinner on a busy Wednesday evening – the small restaurant was packed when we got there and packed when we left. 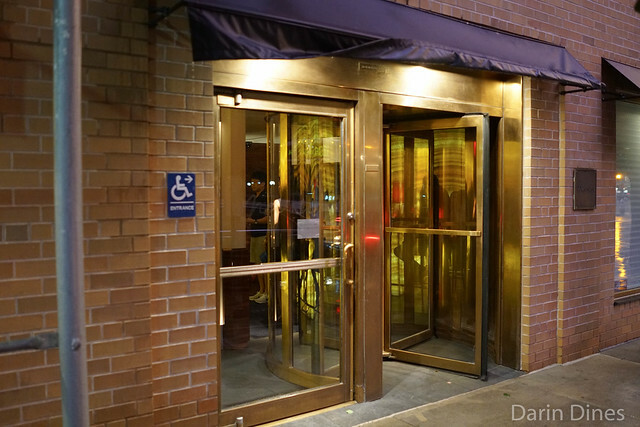 I’ve been to Michael White’s seafood-focused Italian restaurant once a couple of years ago. I recall having a good meal there; in particular, there were some memorable pastas. 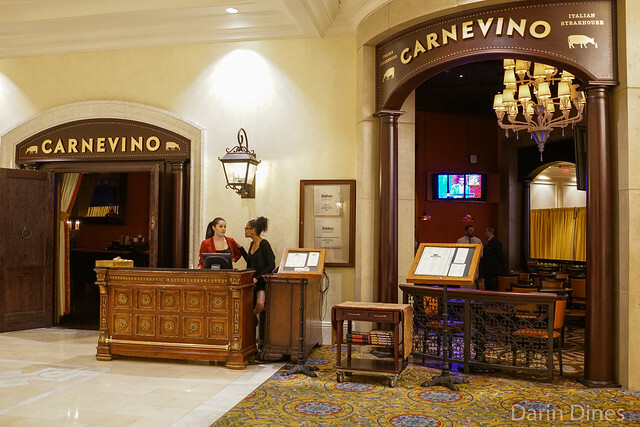 The restaurant is known to have some of the best pastas in town, which was one of the primary reasons for returning (another was that it was so close to the hotel on an evening with scattered thunderstorms). The restaurant still holds two Michelin stars and is still one of the busiest fine dining establishments in the city. While a la carte and custom tasting menus are an option, I imagine most people go with the 4-course prix fixe at $102 for dinner. That menu offers a lot of variety – diners can choose from almost any appetizer, pasta, main and dessert for that price. That’s exactly what we did here.